Yumeria is a visual novel game with 3D characters on 2D backgrounds. Originally on PS2, but ported to Windows. An anime series is also available. 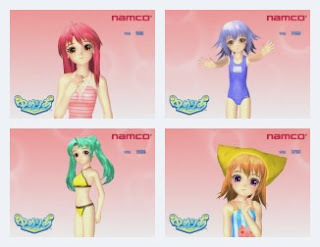 The benchmark is very short, showing four of the game's characters posing for the camera. Along with the benchmark, a demo of the game is included. Only runs at 640x480 and didn't obey my Control Panel AA settings. Music is a short loop and nothing special. Not recommended.